Congratulations to James Villani ('84 B.S., B.M.) whose recorded work with the Manassas Symphony Orchestra (MSO) has won the 2015 American Prize in Orchestral Performance by a Community Orchestra. The award honors the MSO for its live performance of Howard Hanson's Symphony No. 1 at its October 2014 concert at the Hylton Performing Arts Center, and recognizes its continued commitment to the Greater Manassas and Prince William communities. The MSO was previously a semi-finalist for this award in 2010, and a finalist in 2013. The MSO is the first orchestra in Virginia to win the American Prize. The American Prize sponsors a series of non-profit national competitions in the performing arts - providing cash awards, professional adjudication, and regional, national, and international recognition for the best recorded performances by ensembles and individuals each year in the United States. Administered by Hat City Music Theater, Inc., a nonprofit organization based in Connecticut, the American Prize was founded in 2009 and is awarded annually. 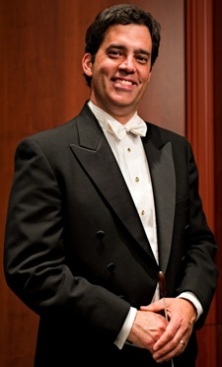 James Villani has been the conductor and music director of the Manassas Symphony since 2004. As a long-time advocate for continuing adult music education and volunteerism in the arts, he has been involved in community musical organizations since coming to Northern Virginia in 1986. He was associate conductor and clarinetist for the Reston Chamber Orchestra for 10 years, and is an active judge and clinician for local music festivals and competitions. He is a member of the League of American Orchestras and the Conductors Guild. A native of New Castle, Pennsylvania, Villani began playing clarinet in school at the age of 8. Later, he studied with Carl Marks, a noted faculty member at Duquesne University and Youngstown State University's Dana School of Music. Jim received his bachelor's degrees in clarinet performance and music education from Penn State, where he studied with Smith Toulson. Among his Penn State highlights were four major bowl games, playing tenor saxophone in Disney's All-American College Marching Band at the grand opening of the EPCOT theme park (alongside legendary performer Danny Kaye), and performing with the Pittsburgh Symphony under the baton of Michael Tilson Thomas.